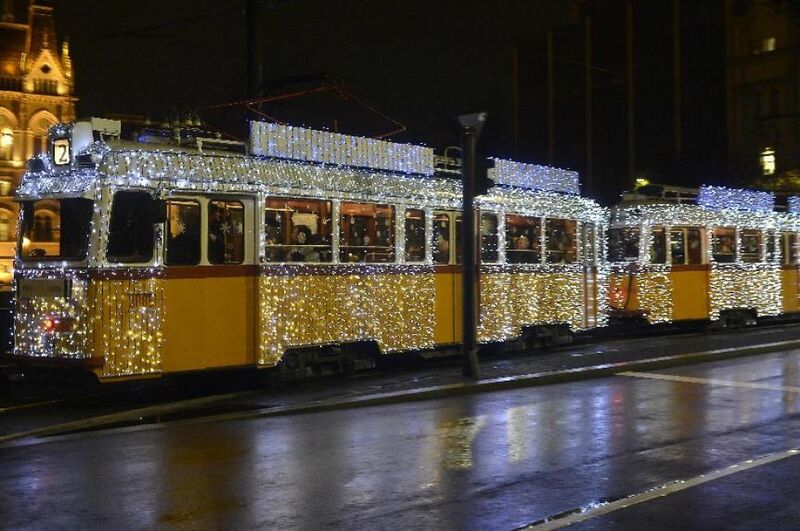 The public transport company in Budapest, BKV, is running bright light Xmas trams (streetcars) at Christmas time in Budapest, Hungary. 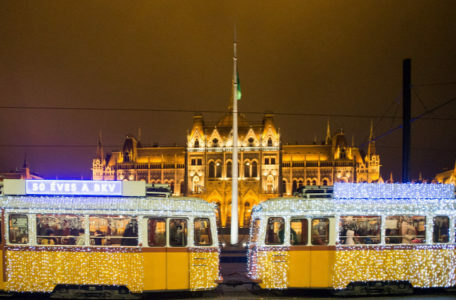 The Christmas trams run along the big ring road (tram 6), by the river Danube (Tram 2 or 2A on the Pest side, and Tram 19 on the Buda side) along the embankment of Budapest, etc. 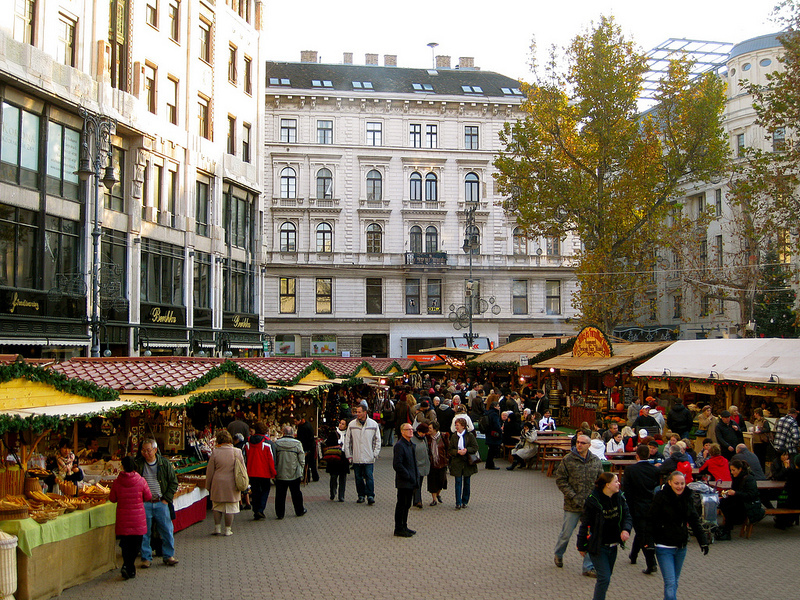 The big ring road in Budapest, aka the grand boulevard (nagy körút) is one of the most important and central routes in the city, which runs in a semi circle from Buda through Pest then back to Buda, touching the Margaret Bridge, Oktogon Square, Blaha Square, Petofi Bridge, Moricz korter Square, among others. The Christmas trams are wrapped in lights, so they are called Budapest Xmas lights Streetcars, and are some of the lovely festive sights in Budapest at Christmas time. 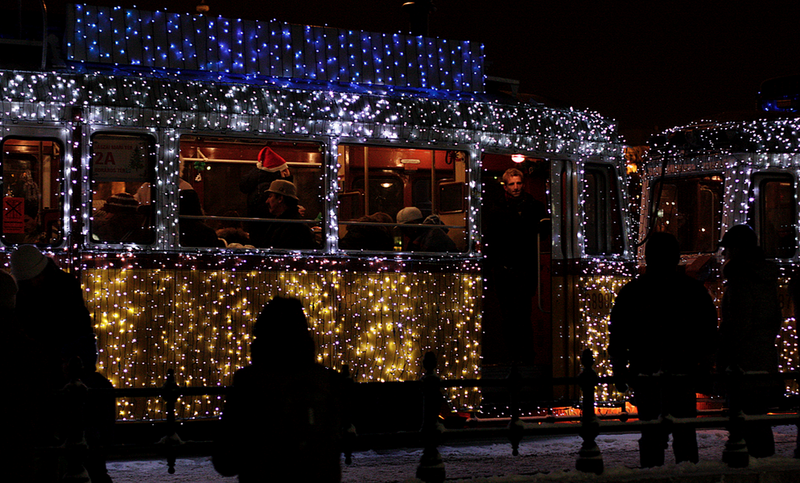 The Christmas trams run usually between 5 pm and 9 pm in the evenings, from Dec 1 to Jan 7. 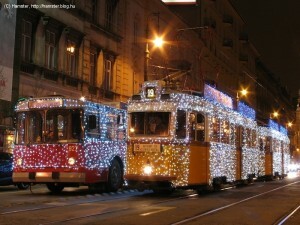 The nostalgia tram is enlightened with approx. 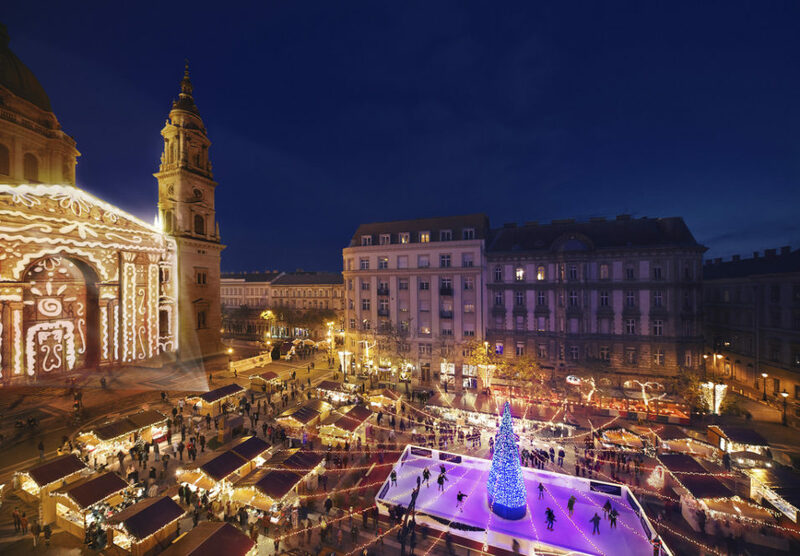 40,000 LED lights. 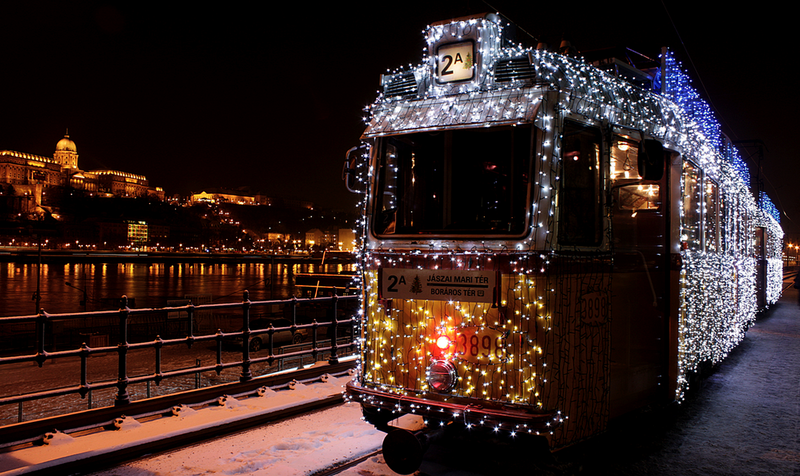 The tram is free to ride for under 6 children, and standard tram tickets are valid on the Christmas Lights Trams for over 6 children, and adults.